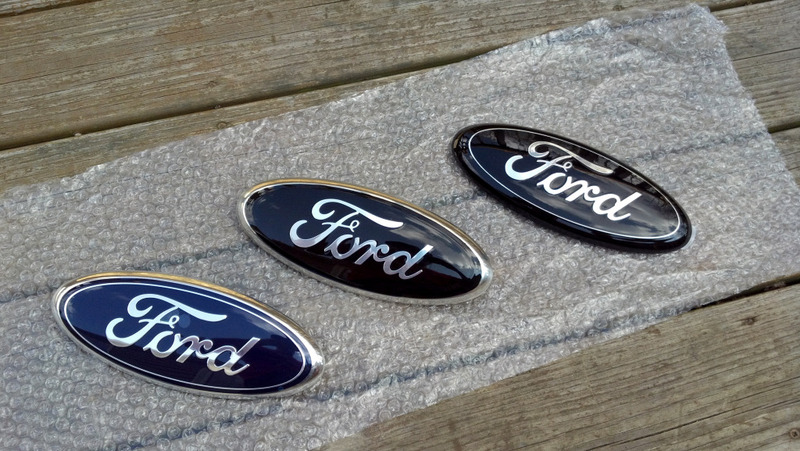 Is anyone doing anything special with their FORD emblems on the front and rear? I was thinking of tinting them somehow. Anyone doing overlays or tinting, maybe ordering black FORD emblems? I tinted the emblems on my old f150 with VHT Niteshades. Came out pretty good. I've seen some that have been black, and white. Buying one that's already done comes out better than overlays, but I haven't heard of or tried tinting them, good idea. Kinda hard to see here, but I've always loved Brent's. I'd actually like one just like it for the front and back of mine. Last edited by KMAC0694; 11-11-2013 at 07:42 PM. That's pretty freakin cool. I've checked their site out before, but didn't know they did stuff like that. Yea but it gets pricey. The door ones I'd get would also be like the raptor saying 5.4L Trition. To get those three badges is ~$600. A fellow on here named Brent ( sn Lifted54Lariat ) painted mine 2 years ago. 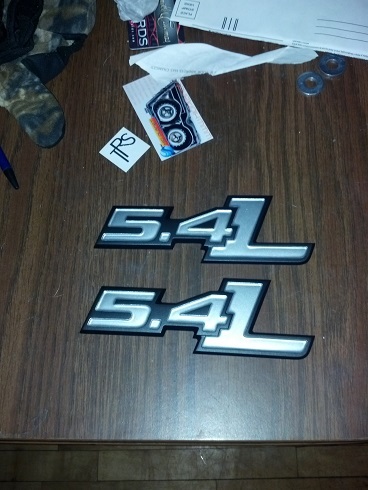 They are 2012 Explorer emblems they match up in size perfect with F150 ones. Love them to this day, really sets the truck apart from others. He doesn't do it these days, but its nice knowing it can be done. Just did this to mine today. I took my badges on the front, rear, and sides and scuffed them up with a red scotch brite bad and spray painted the them flat black. I wish a couple years back i would have just paid and had brent do them gloss black with Ford written in silver and the F-150 painted silver as well. Big B that is freakin sweet!!! Thank you guys. Install wasn't that difficult either. The only down side (so far) is that I need to get a quick connect adapter before I can take my tailgat off. Simple fix however.